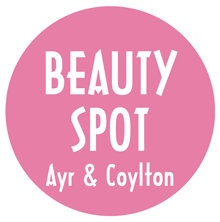 Beauty Spot founded by Erin was opened in August 2006 in Alloway, and after a successful 3 years, and ever expanding client base we opened our Coylton Salon. The key to our salons success is our customers, and excellent customer satisfaction. Both beauty salons offer a friendly and welcoming environment and with our fully qualified and experienced team, we can provide a wealth of treatments within our salons and can take care of all your beauty needs. In October 2014 we launched our fantastic skincare range nuskin, offering the products during facials, body treatments and also as retail. The science based range is having fantastic results with clients. A premier anti-aging company committed to providing quality skin care and nutrition products. Ageloc science products are safer alternatives and more natural to Botox and fillers. The results are instant and can be maintained at home. There is an amazing business opportunity attached to nuskin for those who are open minded to like myself. Get in contact for more info. Treatments-in both salons we offer an extensive selection of treatments ranging from nails, waxing, tanning, massage and facials. 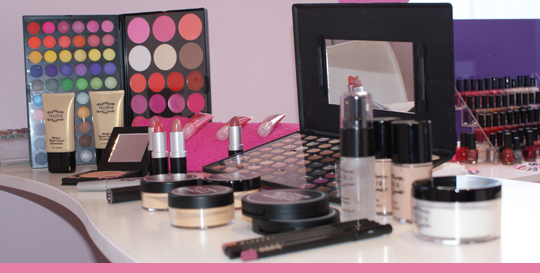 Fuschia Make-up, a multi award winning Irish make-up company. Fuschia is known for its excellent array of products catering for the modern woman. We are a passionate, vibrant and constantly evolving brand that has brought a Fresh prospective to the make up industry. Nails-we offer a wide range of nail treatments including manicures, minx, shellac and acrylic. 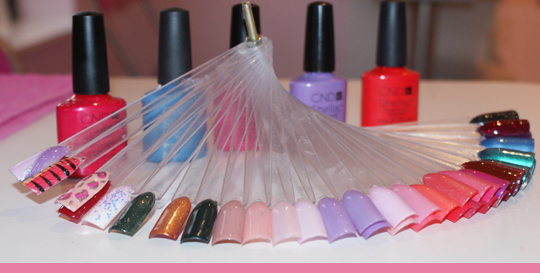 With such a wide range of shellac colours and designs that suit everyone’s wishes.